Laya is governed by a General Body comprising 16 General Body Members from academic and development practice and a Board of Management (BoM) comprising 7 elected members. The BoM meets four times a year and the General Body of Laya meets once a year. The BoM meeting is preceded as a general practice by a one-day substantive workshop comprising the members of the BoM as well as senior management and coordinators of Laya Resource Centre. One of the meetings of the BoM, in a year, includes field exposure and critical reflection on programme activities. With a Masters in Social Work from Nirmala Niketan, Mumbai, Nandini has over three decades of experience in the development sector ranging from grassroots to international donor agencies. She has initiated many programs that focus on women's economic empowerment and leadership development besides working on participatory training methodologies, issues of conflict transformation, youth, organization development and democratic governance. 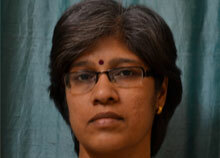 Devi Prasad is Secretary of Laya and People's Action for Research and Development, Visakhapatnam. He is also a Retired Professor at Centre for Equity for Women, Children and Families, School of Social Work, Tata Institute of Social Sciences, Mumbai. 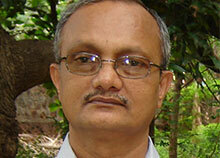 He was earlier Director, Centre for Social Studies, Surat, Gujarat and was also professor at Dept. of Social Work, Andhra University, Visakhapatnam. He holds a PhD in Social Work. During the last three decades, he has trained professional social workers, taught courses on Development administration, Participatory development, Research methodology and wrote on social work education, gender and family studies, development, microcredit, etc. Walter Mendoza is an independent analyst and mentor in the field of climate change, sustainable development and institutional advancement. His major commitment is to a democratized, inclusive society based on autonomy, dignity and well-being of individuals and communities. Until recently, he was responsible for, and then a mentor to a rural livelihoods and alternate energy program, a component of Climate Change Adaptation through regeneration of local ecosystems and ecosystem services. 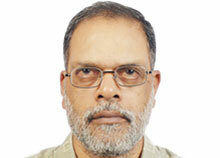 He has developed a course, Living with Climate Change, for undergraduate students and for a Summer School in Pune. After completing a Post Graduate Program in Human Resources Management from XLRI, Jamshedpur, in 1973, he worked for 13 years in industry in Mumbai, and then 28 years in Social Development. His perspective is based on a long involvement in the adivasi (indigenous people's) region of Northern Andhra Pradesh and Southern Orissa. 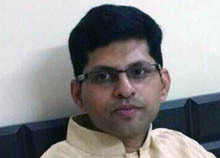 He is a member of the core team of the Indian Network on Ethics and Climate Change (INECC), which focuses on grassroots, eco-system based climate action, advocating people's voices in policy choices, in regional, national and international fora. He is the editor of 'eco-ethic', the INECC newsletter. He is also a member of the core group of Knowledge in Civil Society, a network promoting democracy, autonomy, innovation and diversity in Science and Technology Practice. 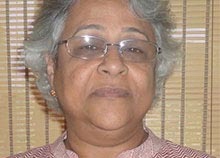 Dr. Lata Narayan is the Retired Professor at Center for Equity for Women, Children and Families, School of Social Work at the Tata Institute of Social Sciences. She has a Doctorate in Social Work from Mumbai University. She anchors the diploma program on Youth Development and Social Change. 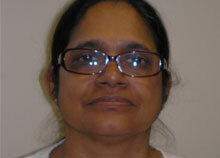 Her current areas of interest and work include Youth, Training Methodology, Social Work Education and Practice. At the TISS, she was earlier in the School of Social Work, and prior to that, with the Unit for Child and Youth Research. She was the co-convener of a field action project in TISS, HUM [Humanity United in M-Ward], which aimed to create a Human Rights Sensitive Ward in Mumbai. 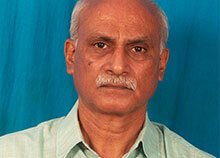 Dr. Narayan also serves on the board of other NGOs like Yuva, MelJol, Aflatoun Child Savings International. She has been one of the founder members of Laya. She is based at Mumbai, Maharashtra. 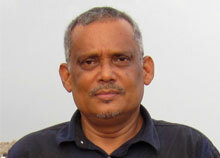 Sanjay, a Freelancer in the area of action research specially relating to sustainable livelihoods, ecology, mangroves ecosystems and developmental communication. He is also the Director (Hon) of DHARA (Socio-Eco-Cultural Research & Communication Syndicate) a Bhubaneswar based institution. His career spans more than three and a half decades. Sanjay's motivation and strength has been to understand the opportunities and scope of application at the community level to pursue a sustainable living relevant to the realities of the times. Early in his career, for more than half decade, he was head of the Socio-Economic Division of a drinking sanitation project supported by the Danish International Development Agency. 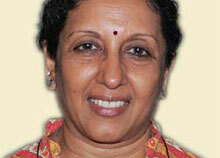 Ms. Mani Mistry is the Executive Director of Bharbhaya Orphanage for Hindu Girls, based at Mumbai, Maharashtra. Nafisa Goga D'Souza is a founding member of Laya. She has been the Executive Director of Laya Resource Center, since its inception. 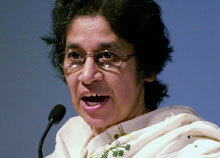 She is also the founding member and Convener of the Indian Network on Ethics and Climate Change. She has been part of the Working Group on Climate Change of the World Council of Churches, since 1993. Currently, she is involved in pursuing creative practices in the field of sustainable development from a grassroots perspective. Her key passion is to pursue justice issues from a micro and macro perspective. She believes that the phenomenon of Climate Change epitomizes the current 'destructive paradigm of development' calling for systemic transformation. Her roots lie in social work practice and teaching. Nafisa has a Doctorate on land dispossession in adivasi regions of Andhra Pradesh. Mr. T. Sudhakar Reddy is a Retired Professor of the Fine Arts Unit of Andhra University and is involved in various initiatives of promoting creative community initiatives in the field of fine arts. He is based at Visakhapatnam, Andhra Pradesh. 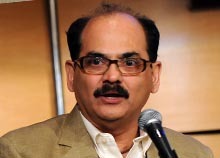 Dominic D'souza has been the Associate Director of Laya since 1996. From 1988-1995, he was the Head of the Projects Department, Indo German Social Service Society, New Delhi. 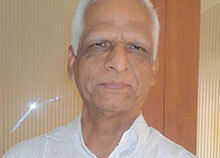 His early education involved a Masters degree from the Tata Institute of Social Sciences, Mumbai in 1976. His essential interest lies in the areas of policies especially related to adivasi communities, grassroots level social development interventions, sustainable livelihood of adivasi communities and lifelong learning and education for student and non-student youth for self-development and in development issues. Currently, he is an Executive Council Member of Asia South Pacific Association for Basic and Adult Education (ASPBAE). He is also keenly interested in governance and is on the Board of Management of several non-government organisations. Dr. D.V.R. Murthy is a Professor of the Journalism and Mass Communication Department of Andhra University and has been promoting socially responsible issue based writing. He is based at Visakhapatnam, Andhra Pradesh. 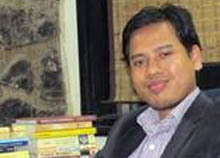 Mr. Minar Pimple is the Senior Director of Global Operations, Amnesty International. He is based at London. Maveen is the Head of South Asia Programmes at Traidcraft Exchange, a fair trade organisation based in the United Kingdom. 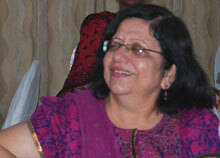 She has over 30 years' experience in the development sector, having worked in India, Bangladesh and the UK. She has proven skills of mobilising communities, development of sector-specific supply chains, working on human rights & rights of women in particular, training a range of stakeholders, developing and managing a large portfolio of projects, strategic management, and leading multiple teams. She has also been a member of the faculty of the postgraduate programme at the Tata Institute of Social Sciences, Mumbai. In her spare time she volunteers at her local church, is a Trustee for a local charity, a school governor, and is a fair trader promoting fair trade among local communities. Head of South Asia Programmes, Traidcraft, U.K.
Biswaranjan Tripura teaches at the Centre for Social Justice and Governance, School of Social Work, Tata Institute of Social Sciences, Mumbai. His research interest encompasses Adivasi/Indigenous Politics, Tribal Development, Borderland Studies, Governance and Empowerment, Tribal Autonomy, Agency, Sustainable Development, Tribal Education and Decolonizing Methodology.